Last Monday kicked off the adventure—I woke up early and popped right out of bed, made myself a green juice and settled into some comfy yoga pants in front of my computer. For the first time in 14 years, I didn’t have to worry about ironing or blowdrying. Don’t worry, I’m not boycotting soap, shampoo or deodorant just yet! But there is something freeing about being able to skip that morning routine. I was excited, nervous and overwhelmed all at the same time. For every item I checked off my to-do list, it seemed like 10 more appeared in its place. My first day ran long and I realized that everything can’t get done in one day and only with the right planning can I accomplish what I set out to do. I filled my calendar with a lot of appointments, including meetings with bookkeepers, farmers and partners. I spent the better part of Tuesday morning battling with some technical difficulties, which made me realize how much I rely on the Wells Fargo IT department! 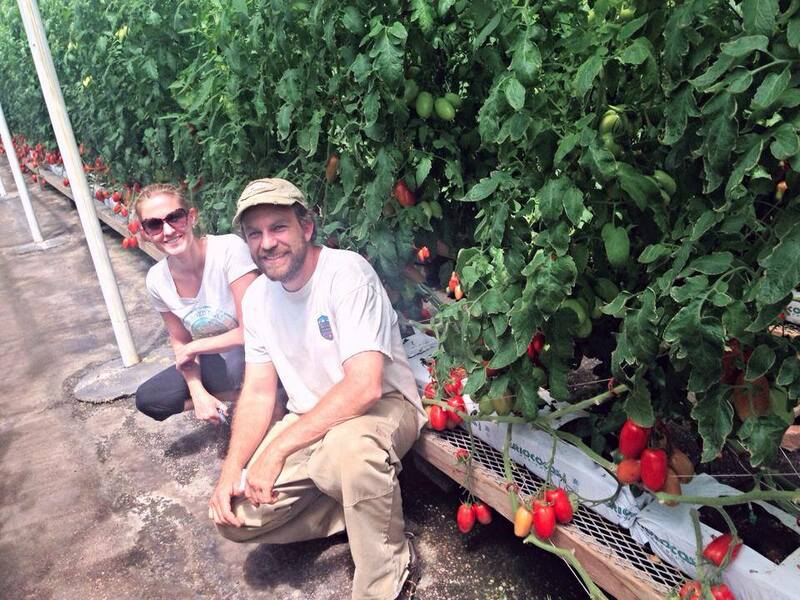 After I got that sorted out, I met my sister, Tracy, at a farm in Longmont where we met with Jeremy, a tomato farmer. He gave us a tour of his greenhouse, which was incredible. He had so many different tomato varieties that the selection seemed endless. He donated 700 lbs. of fresh, beautiful tomatoes and promised another 500 lbs for weeks to come. We donated this food to a non-profit organization named OUR Center in Longmont. By Wednesday, I was starting to get the hang of working from home and pacing my day. It started off with paying some bills, creating spreadsheets, updating our website and solidifying some upcoming meetings. I met with the Boulder Food Alliance, a fantastic partner that is working hard to fight the same battle of hunger and food waste. We discussed partnering with another local non-profit organization that helps educate the underserved about food sustainability, food solvency and preservation. All three organizations will be working in tandem to support a cooking class every Monday for 30 people that are food insecure. 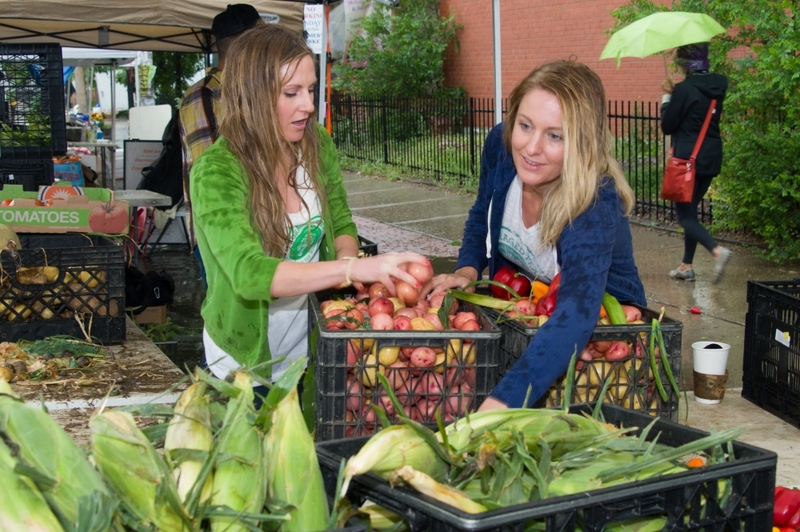 The participants will leave with new cooking skills and a bag of fresh, nutritious produce recovered by Foraged Feast and Denver Food Recovery. Tracy and I spent Thursday planning an upcoming fundraiser at Mile High Flea Market. We also visited a couple of salvage yards to look for a vehicle for Foraged Feast. Not sure that it was a productive trip, but certainly eventful (junk yard dogs are no joke!). On Friday I met with Candice from Barnraiser, a crowd funding organization that focuses on presenting, marketing and funding food projects. We hope to have our project launched and funded by July 31st. We closed the week out at the S. Pearl Street Farmer’s Market to do our weekly collection and complete a photo shoot for an article that CSU is writing on Foraged Feast. We were greeted with a tornado warning, hail, lightning and flooded streets but somehow managed to recover 691 lbs of produce from Miller Farms, Slater Farms and Leffler Farms. This donation went to the Rescue Mission in Denver. So while I began the week uncertain about this unique opportunity, I ended up realizing how fortunate I am and hopeful for what the next 3 months will bring. It is exciting to be able to build powerful new partnerships that will help us achieve our goal of reducing food waste and ending hunger in our community. I’ll be keeping this blog to document my journey this summer, so check back to find out about all the new opportunities on the horizon for Foraged Feast, and my adventures navigating the world of non-profits!